Pets themed. 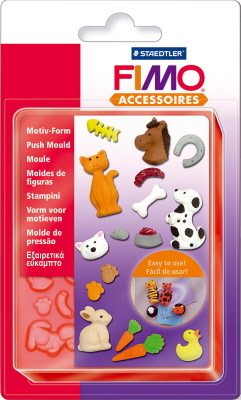 Detailed high quality push moulds for FIMO and Sculpey polymer clays. Very flexible allowing easy demoulding. Long lifespan. One piece mould with 15 different motifs as illustrated. Motif size approx. 20 x 20mm. Mould surface dimension 95 x 125mm.